At this time we do not have any Steward Position openings at Birken Forest Buddhist Monastery. Please read the information below should you be interested in submitting an application for future consideration. In non-Buddhist countries, remote monasteries like Birken depend on the voluntary help of long-term Resident Stewards. 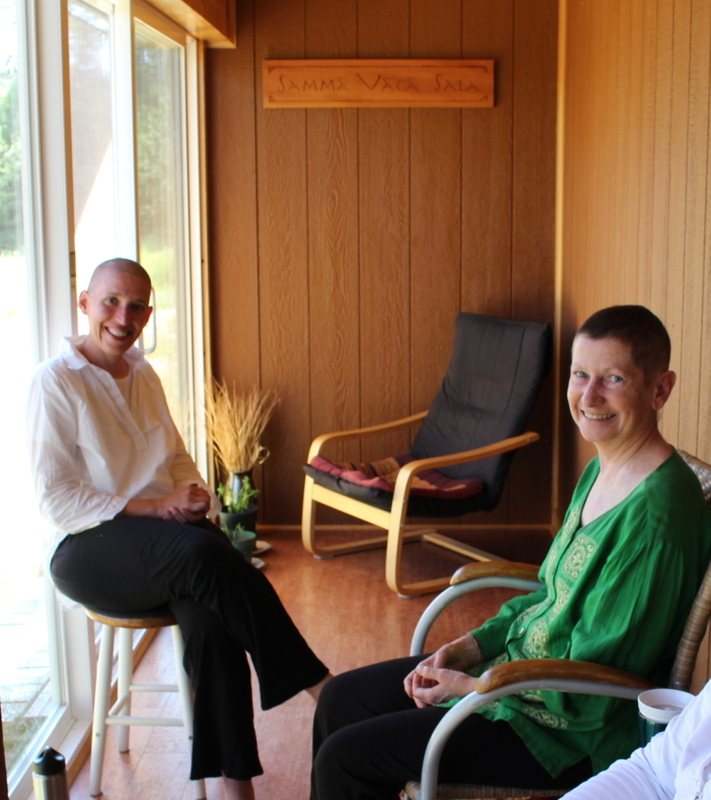 Stewards live at the monastery full-time and volunteer their services free of charge. This is an excellent opportunity for practitioners who are looking for a simple life devoted to the Buddha’s teachings, meditation and meritorious acts of service to the Sangha, in the company of like-minded individuals who are also committed to these ideals. KITCHEN STEWARD: Kitchen Stewards are responsible for preparing meals for the resident community (set menus/recipes are provided), managing kitchen facilities and supplies, attending to various household chores, driving to Kamloops for weekly shopping / errands, etc. Cooking experience would be an asset, although it is not required; on-the-job training is provided. All candidates must hold a valid Class 5 Canadian driver’s license (or its equivalent) before arriving. Meal preparation duties are shared with other kitchen stewards on a rotational basis. Resident stewards are typically expected to work approximately 3-4 hours per day. Minimum commitment of three months. MAINTENANCE STEWARD: The male Resident Maintenance Steward assists with the daily maintenance of the monastery buildings, off-grid systems and grounds maintenance (including in the winter the daily starting and stoking of our wood stoves, firewood chopping and stacking, clearing snow from roofs, walkways, and paths, as well as snow plowing our 7km logging road with a tractor). Candidates must be in good physical and mental health, with a capacity for heavy labour when required. The ideal candidate will have handy-man skills and experience with basic carpentry / plumbing / electrical work (although this is not mandatory). Experience with tractor driving and off-grid systems would also be helpful. All candidates must hold a valid Class 5 Canadian driver’s license (or its equivalent) before arriving. Resident stewards are typically expected to work 3-4 hours per day. Minimum commitment of three months. OFFICE STEWARD: The Office Steward is responsible for coordinating the monastery’s daily email, mail and phone correspondence; managing overnight and day visit bookings; maintenance of the Birken website and other communications materials; attending to the administrative needs of the resident monastics; providing support to Birken’s Offsite Treasurer/Bookkeeper; fulfilling all Registered Charitable Society requirements (coordination of Annual General Meeting, filing of Annual Charity Returns, etc. ); and, generally attending to all administration and communications needs of the monastery. Ideal candidates will have good organizational, communication and computer skills, as well as prior experience in an office / administrative setting. All candidates must hold a valid Class 5 Canadian driver’s license (or its equivalent) before arriving. Resident stewards are typically expected to work 3-4 hours per day. Minimum commitment of three months (ideally longer for this position). How to Apply: If you are interested in serving as a Steward at Birken Forest Monastery, please email us at meditate@birken.ca for more information. All candidates should be able to commit to serve for a minimum period of three months. Long term stays are subject to a probationary period and require periodic approvals by the Abbot as well as the other members of the resident community. If you have not been to Birken before, you will be invited for a two-week trial visit at the beginning of your steward service to assess mutual suitability. We also ask that all candidates read through our GUEST GUIDE to get a sense of daily community life here at the monastery, before applying. Please don’t hesitate to email us if you have any questions!